Thirty-one-year-old Ryan Lopez was caught with a cache of uncustomed goods on Tuesday night. At around eight-forty-five, police in Benque Viejo del Carmen intercepted Lopez who was driving a Suzuki SUV. 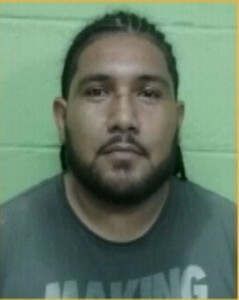 Lopez, who is a car dealer of Belmopan, had left from the Benque Viejo Free Zone when police intercepted his car. 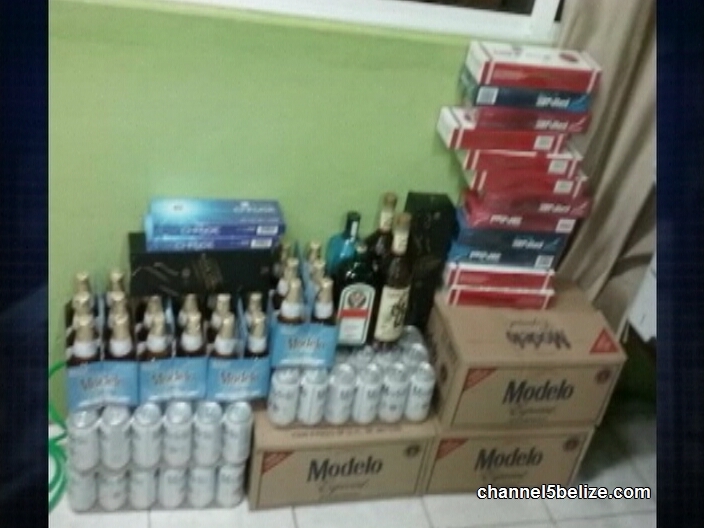 Inside the Suzuki, officers found an assortment of contraband alcohol and cigarettes. 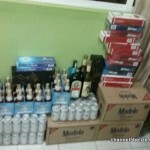 Officers found six cases of Modelo Especial, two liters of Johnny Walker Black Label, two liters of Captain Morgan, one bottle of Bombay Sapphire, and a bottle of Jaggermeister. They also found fifteen boxes of Gold Rich Cigarette, nine boxes of Pine Blue Cigarette, six boxes of Pine Red cigarette and three boxes of Esse Change Cigarette. Police handed over Lopez and his vehicle to Customs and Excise Department for officials there to deal with the matter further. Lopez will have the option to settle the matter out of court. If he chooses to do so he will be required to pay three times the value of the contraband goods.